Fitted with a proper double gong bell with bell on bell off on switch. Switch is wired up for "bell on bell off" and flashing light on silent. See the video. This would be useful if you have children you don't want to wake but still want to know if the telephone is ringing. 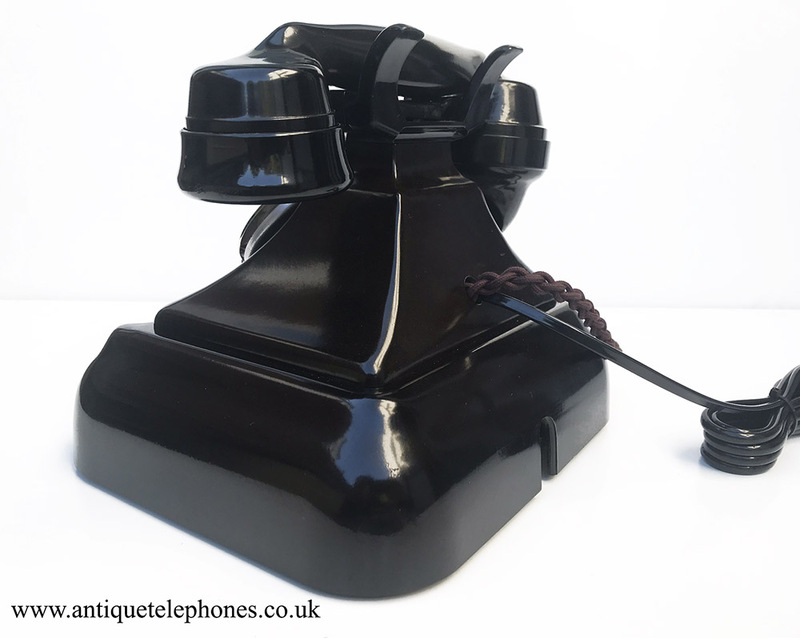 This is a real statement telephone. I only do these when I have lots of time as you will see in the description below. These come with no internal bell and are just full of wiring for the switching mechanism. 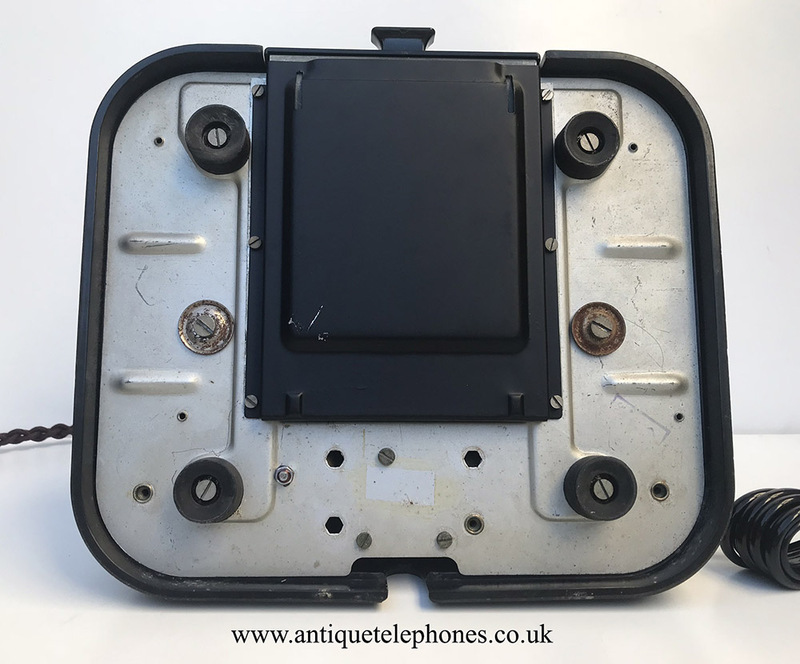 I have stripped out the bell set to make space for a lovely GPO double gong bell. 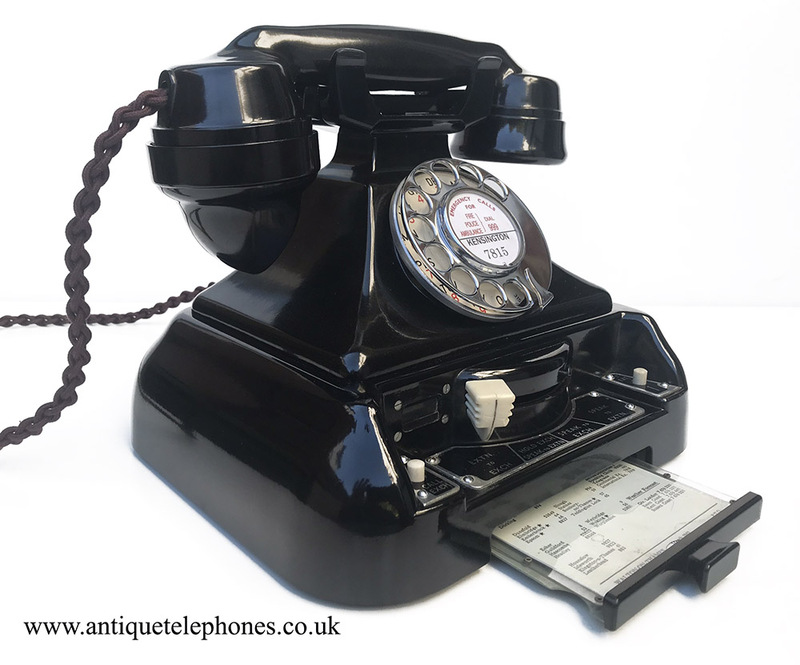 I have wired the bell unit and a flashing light on silent to the switch at the front to allow the switch to have a wonderful useful function as well as looking great. 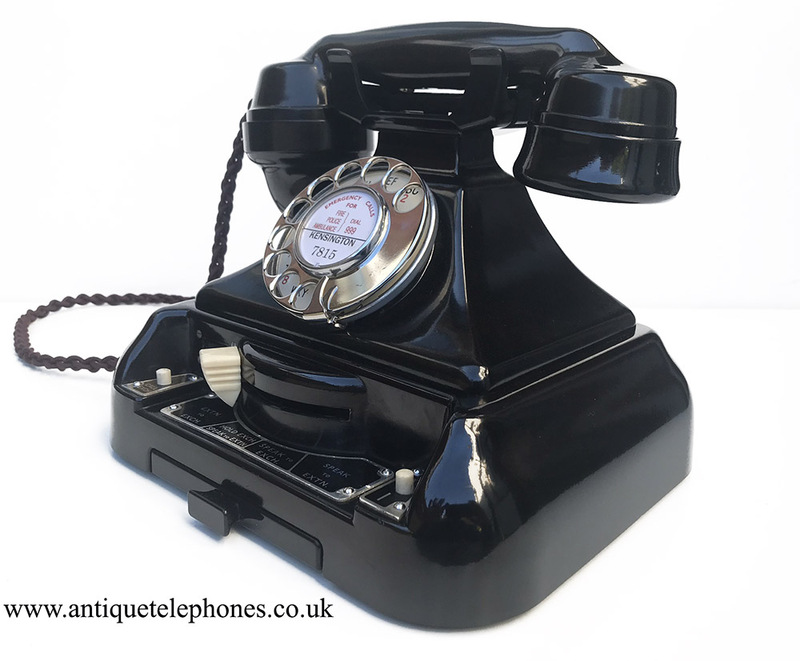 The telephone has been stripped down and rebuilt after each part has been cleaned and polished. It has been converted internally to function as a standard 1/232 model. 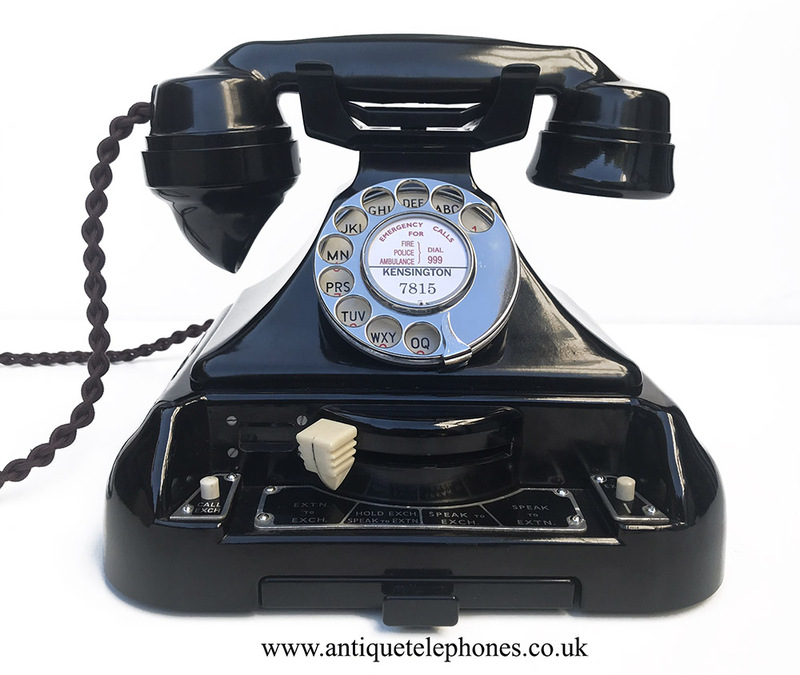 It has been fitted with a best quality hand plaited braided handset cord, a D shaped heavy duty quality line in cord with a UK telephone plug socket. This is made by me and has also been fitted with an essential electronic microphone. I can fit a dial label with your information at no extra charge. 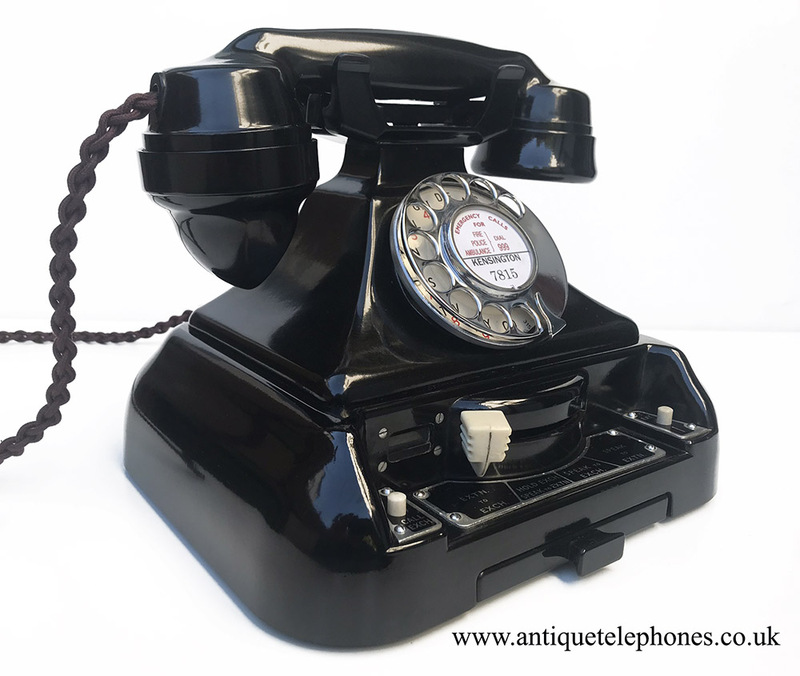 Video of this telephone to show how to operate the functions.